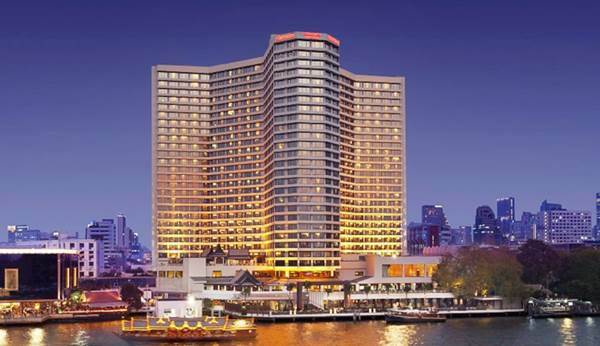 Venue: Royal Orchid Sheraton Hotel, Bangkok. Join us for a full day and evening of Keynotes, Panels and Workshops from the experts of the industry. Enjoy our Netwoking Party from 6PM till late at Sheraton's Riverside Grill alongside the Chao Phraya river with up to 500 professionals from the industry, and some drinks and food. 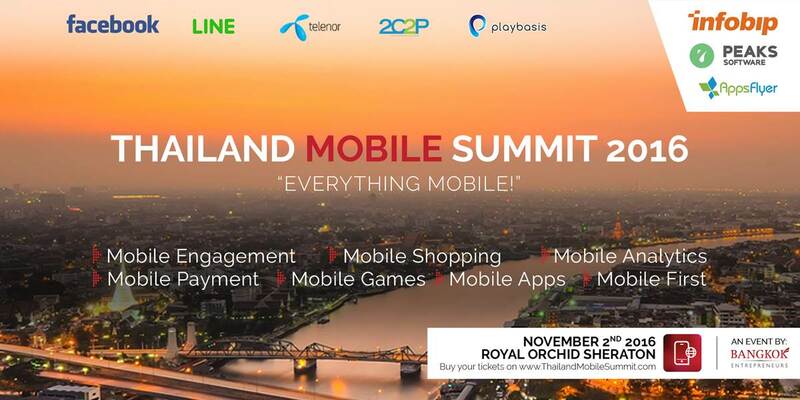 TMS 2016 will be the first “Everything Mobile” event in Thailand with expert speakers from Thailand and abroad. Topics will cover Mobile Payments, Mobile Marketing, Mobile Commerce, Mobile Devices, Mobile Engagement, Mobile Analytics, Mobile Communication, Mobile Apps and Mobile Disruption. Come and listen to renowned speakers from the Mobile world. Participate in dedicated workshops (separate workshop room) and learn from the Mobile Gurus! 11 Keynote Speeches and 4 Panel Discussions from the Managers of Top Companies. Facebook and Grab are confirmed. More to come! 9 Workshops from dedicated teams of top brands. Facebook is confirmed for 2 workshops! More to come! “Everything Mobile!” Exhibition. Discover the latest Mobile products and Services at Thailand Mobile Summit 2016! Discover the latest Mobile products and Services at Thailand Mobile Summit 2016! Retail/Brand Owners, Digital Marketing Providers, Mobile Commerce, Mobile Payments, Technology Solution Providers, Mobile Service Providers, Mobile Accessory Providers, App Developers, Fulfilment Service Providers & Digital Merchandising Companies. Enjoy our Netwoking Party from 6pm to very late at Sheraton`s Riverside Grill alongside the Chao Phraya river with up to 500 professionals from the industry, and some drinks and food. Venue: Riverside Grill, Royal Orchid Sheraton Hotel. 600+ Business Professionals: C-Level Executives from Top Mobile Companies, Entrepreneurs & Mobile Enthusiasts, Mobile Product and Marketing Experts, Mobile App Developers, Mobile Service Providers, Mobile Startups, Corporate (Bank, Insurance, Retail, Consumer Products, etc. ), Finance (Investors, VCs, Business Angels, etc. ), Media Agencies. Save Money: Enjoy our Super Early Bird and Early Bird Prices! Buy your ticket now! (Tickets at the door will be sold for 3,000 baht or more (without lunch) and only if the event is not sold out yet). Click on Tickets at the top right corner of the screen. Want to be a Sponsor or an Exhibitor? Please contact us! Thailand Mobile Summit 2016 is organized by Bangkok Entrepreneurs Co.,Ltd. This is the team behind Thailand Startup Summit 2016, Thailand eCommerce Summit 2016 and the Bangkok Entrepreneurs and WebMob monthly networking events. Contact us here. Super Early Bird Tickets on Sale!